I have a situation where there is an alternate authentication method in place on SharePoint and deploying reports using the Visual Studio deployment options won’t work. To get around this while they sort it out I have manually loaded the reports, data sources and shared datasets to SharePoint. There were a few tricks which I would like to remember so I’ll post them here. The first thing I did was create three libraries, one for Reports, one for Shared Datasets and one for Shared Data Sources. You don’t have to have separate libraries, but I find it more user friendly to keep these items separate. I don’t want users weeding through data sets and data sources to get to their reports. Here is how to create these libraries. 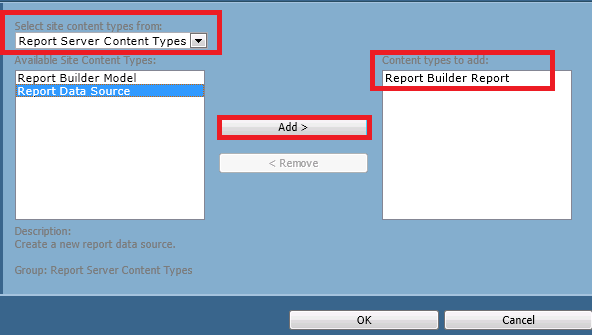 The one surprise is to use a content type of Report Builder Report for the Shared Datasets. I imagine this is to allow you to configure your Dataset to connect to a Data Source. 2. 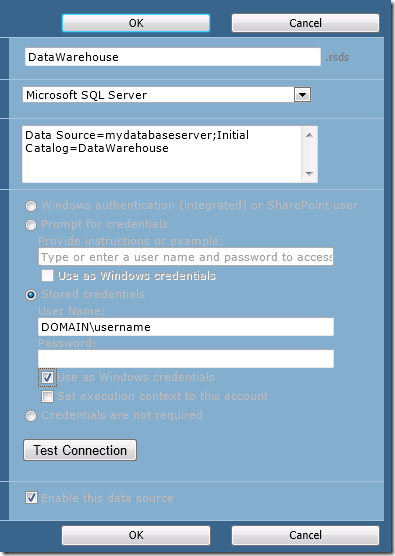 Create (don’t upload) the Data Source. 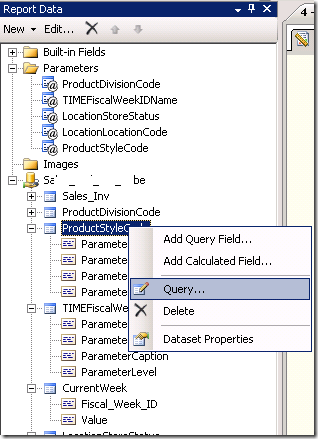 Navigate to the Data Source library you created. From the Documents tab select New Document. 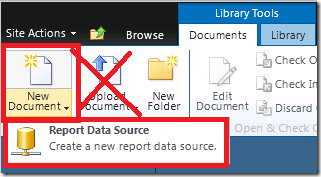 Do not try to upload a data source you have already created for your report, since, for whatever reason, SharePoint won’t recognize it as a Report Data Source. You need to recreate it. 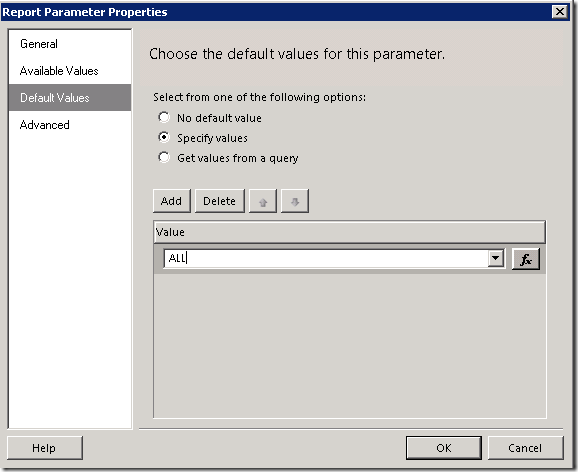 Configure the data source appropriately. 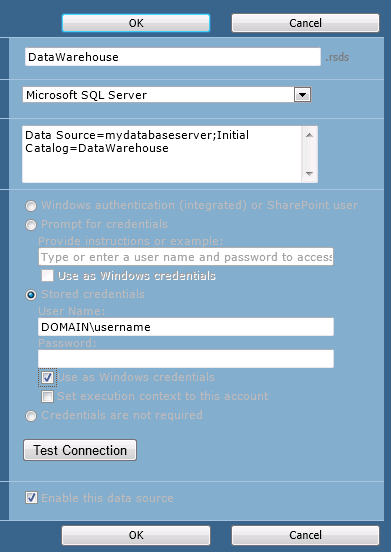 Choose “Stored Credentials” to allow for proxy authentication, and select “Use as Windows credentials”. 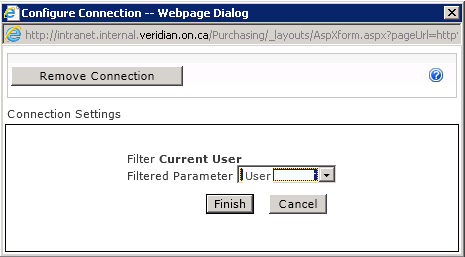 Click on the Test Connection button to be sure it is working. 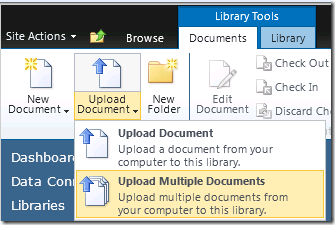 Click OK.
Navigate to your Shared Datasets library and from the Documents tab you can “Upload Document” or “Upload Multiple Documents” depending on how many shared datasets you have. 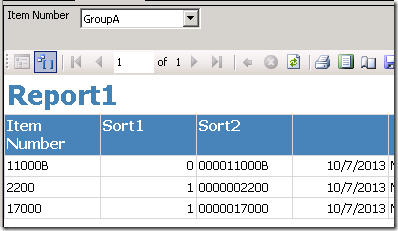 Connect the shared datasets to the appropriate data source. 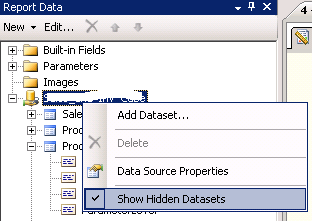 Click the drop down beside the dataset and select “Manage Data Sources”. 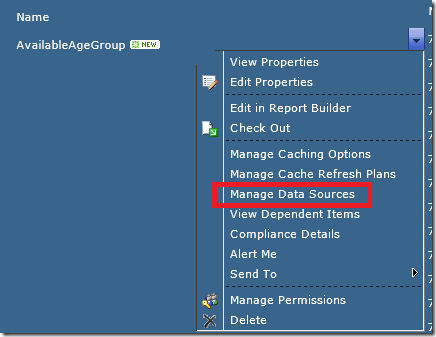 Click on the “DataSetDataSource”, which will have the yellow caution triangle to let you know it has not been configured. 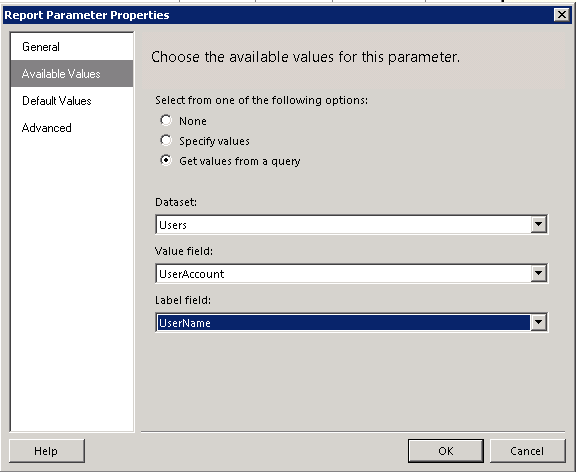 Click on the ellipsis and navigate to wherever you created the data source in SharePoint. Click OK and click Close. Do this for all the Shared Datasets you uploaded. 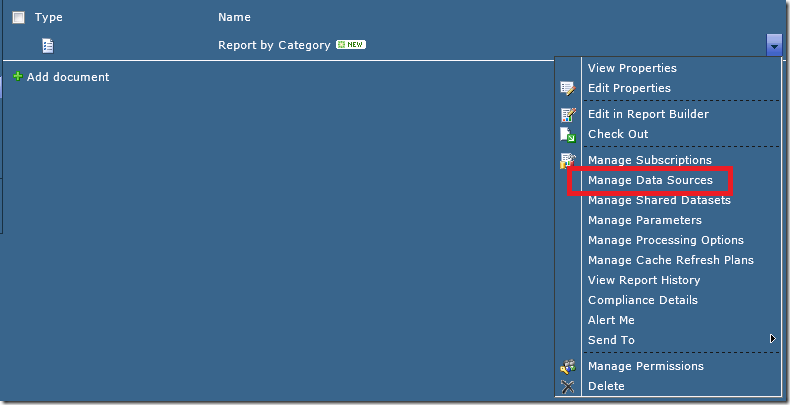 Navigate to the Report library you created. From the Documents tab select Upload Document and upload your Report Services report. 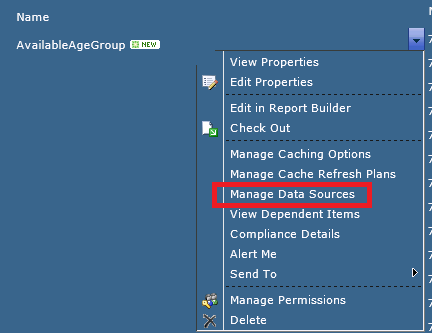 From the drop down beside the report select “Manage Data Sources”. 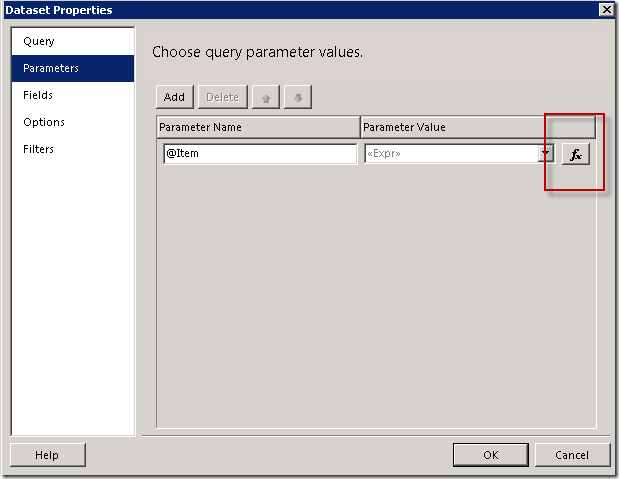 Same as step 4, click on the name of the data source that needs to be connected. 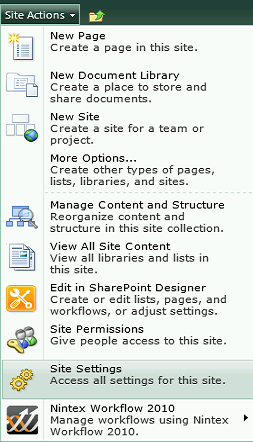 Click on the ellipsis and navigate to where the data source is stored in SharePoint. Click OK. Click Close. From the list of dataset names which need to connected, click on the first one which has a yellow caution triangle beside it. This lets you know that the dataset has not yet been connected. Click on the ellipsis and navigate to where you have stored your shared datasets. 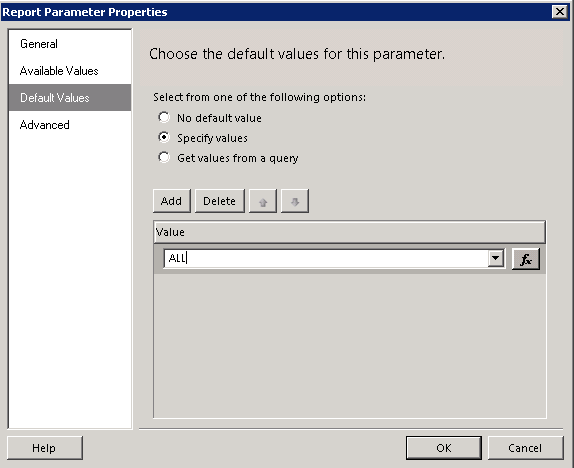 Select the dataset. 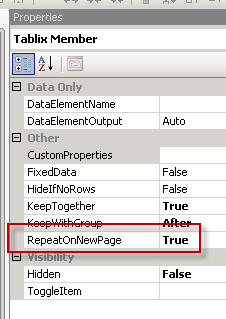 Click OK. Repeat this for any shared datasets which have not been connected. Click Close. You are ready to view your report. 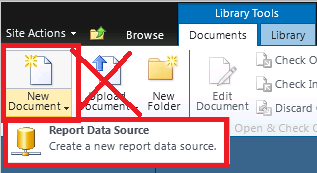 If you get any data source errors, check that the Shared Datasets are all connected correctly to the data source, as well as the report. For whatever reason this type of library is not out-of-the-box. I have to set it up manually every time. Here are the steps for this particular client. 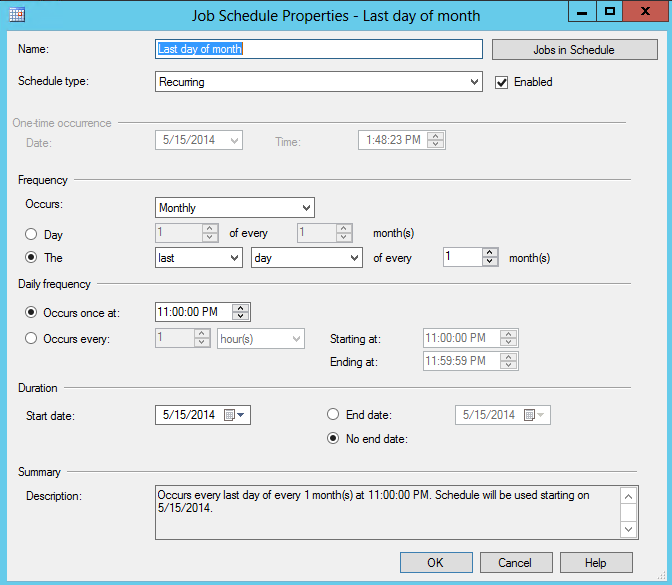 They will be similar for other SharePoint/SSRS set ups. 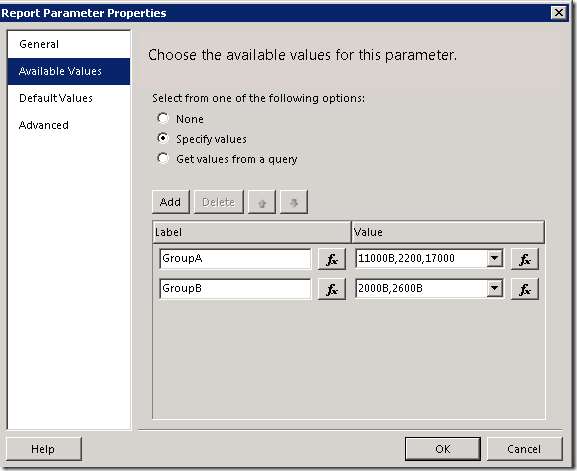 You can follow these instructions to set up an SSRS Data Source library and an SSRS Share DataSet library. 1. 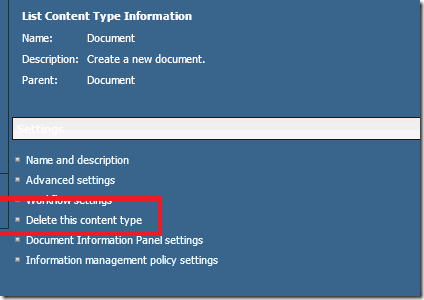 Create a Document Library in SharePoint. Go to Libraries. Click Create. Call your new library “Reports”. 2. 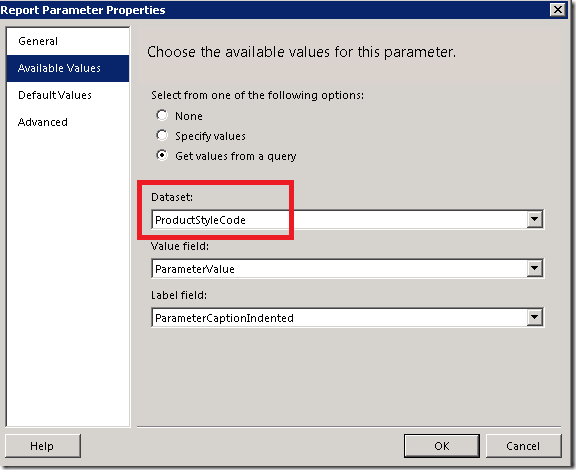 Allow Management of Content Types. Click on your library. Go to Library Settings. Click on Advanced Settings. 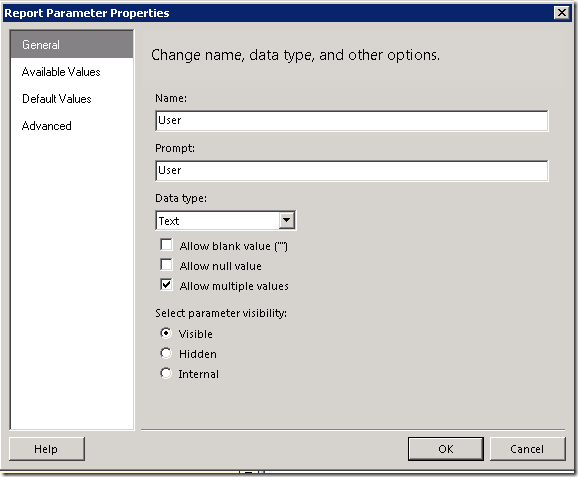 Change the radio button for “Allow management of content types” to Yes. Click OK.
3. 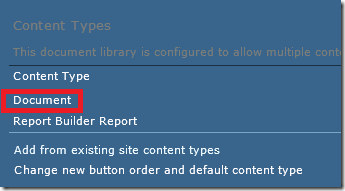 Add Report Content type. 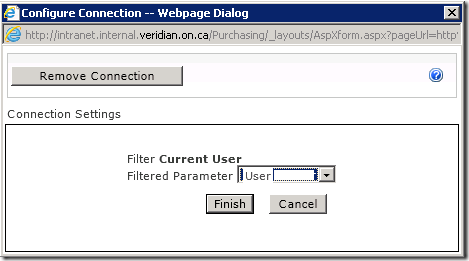 In the Library Setting under Content Types click on “Add from existing site content types”. 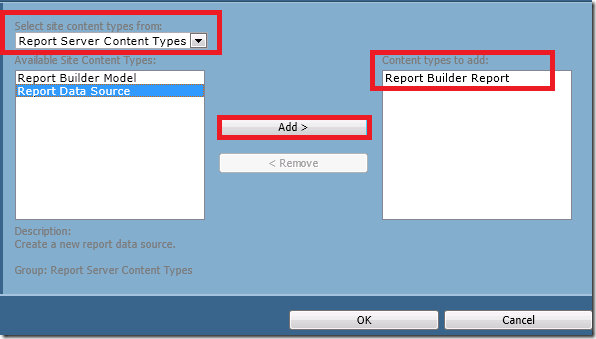 In this case the client is using Report Builder content types for reporting, which will work fine for Report Services reports. 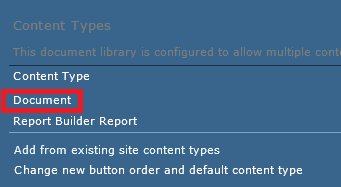 From the “Select site content types from” drop down, select “Report Server Content Types”. 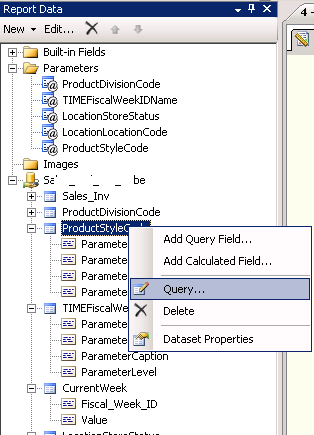 Add any content types you would like to maintain in your Reports library. I prefer to keep data sources and data sets in separate libraries, but some people like to keep them on one library. Take note that whichever content type floats to the top of your Content Type list will be the Default content type for your library. This will matter when creating and adding new documents. 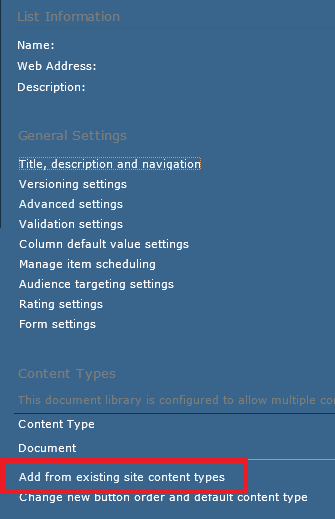 Add the default Content Type first, and then any others. Click OK.
4. Delete the Document Content Type. 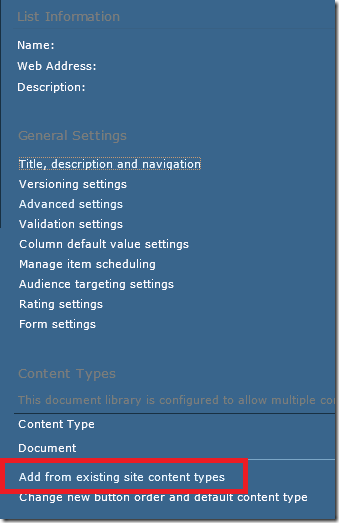 Under Content Types select the “Document” content type. Select “Delete this content type”. This will make the Report Builder Report content type the default content type. 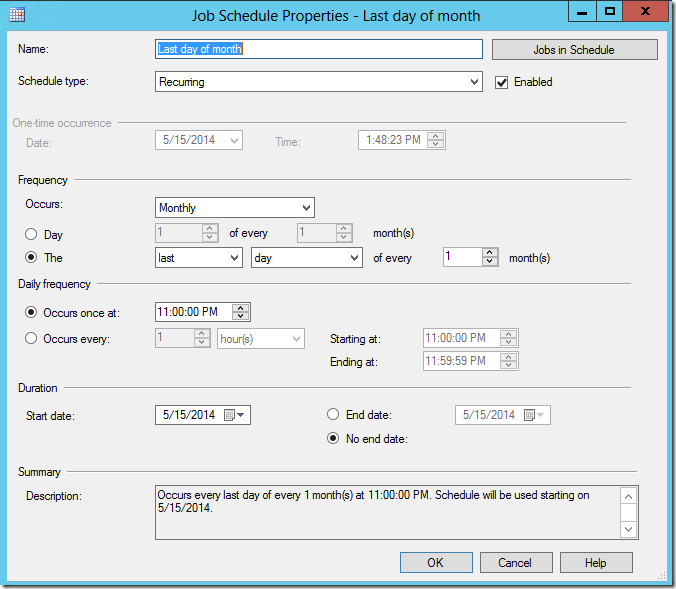 You are ready to deploy SSRS reports to your SharePoint library. 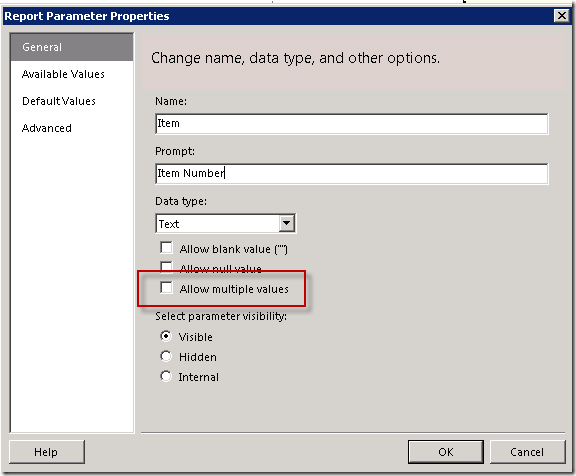 In a continuation of my last blog post on Finding Report Subscription Errors, there was a tricky little reason why the subscription was failing for some of the parameter values, even though the reports could all be run manually. Just like the Current User Filter in SharePoint, it is CASE SENSITIVE. 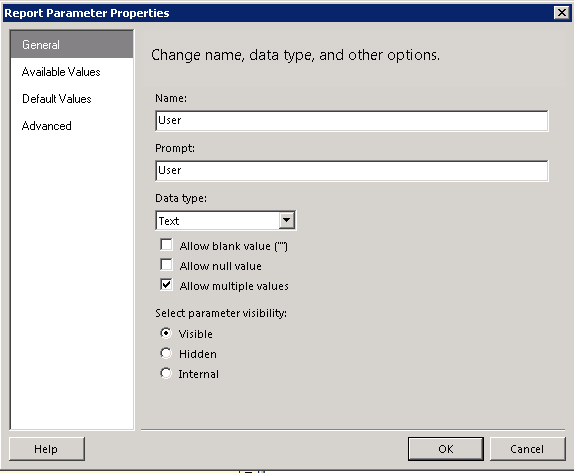 But all of the values being fed to my subscription were valid values which worked when manually running the report. Why did some of the reports in the subscription render successfully and others not? 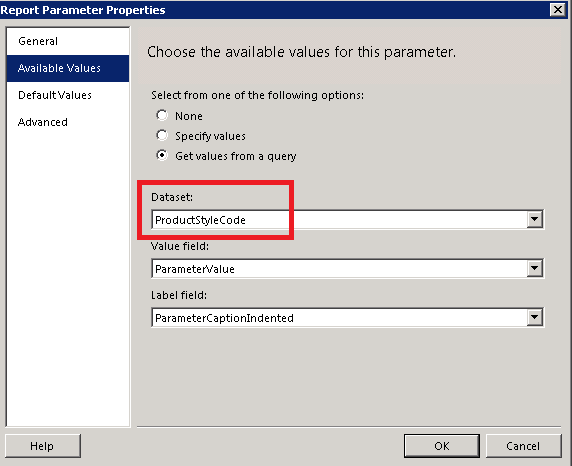 It turns out the underlying query in SSRS for the Manager parameter dropdown had a mix of either lowercase or the first two letters capitalized. 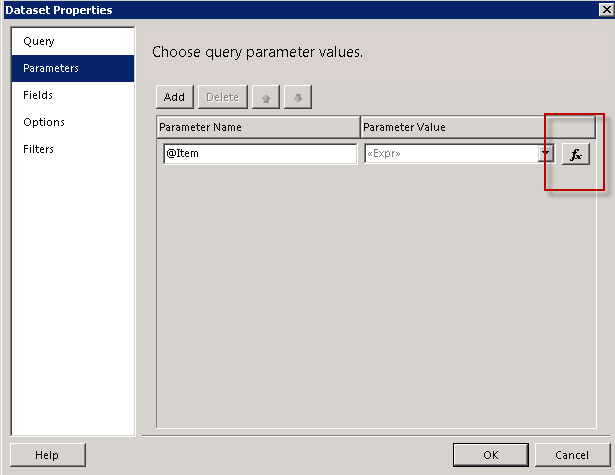 The query I was using in my data-driven subscription was all lowercase. 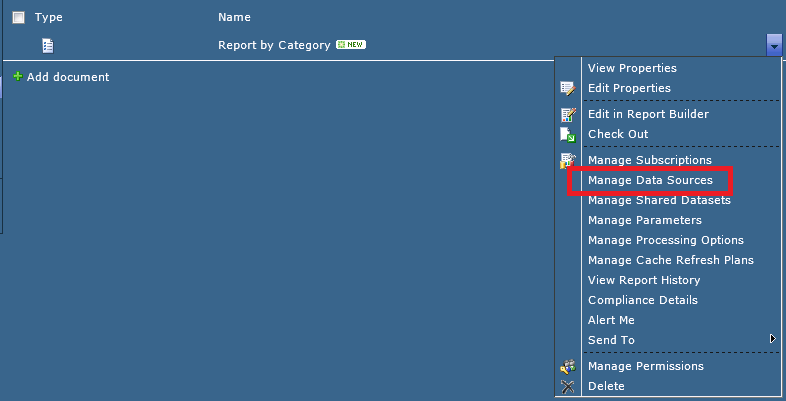 So only those in the report dropdown which were lowercase were running successfully. 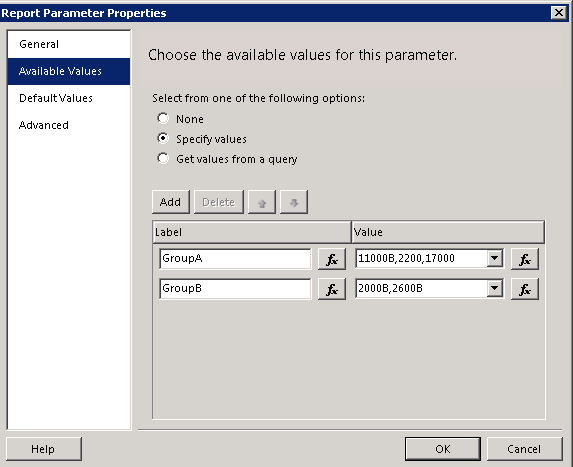 I solved the problem by changing the underlying query feeding the SSRS Report Parameter to lowercase, and ensuring that my subscription query was also lowercase. This resolved all the errors. 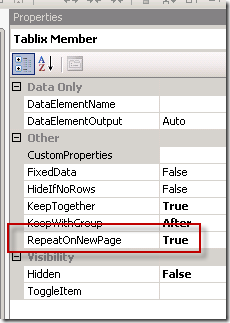 I had an issue trying to find what was causing a data-driven report subscription error. 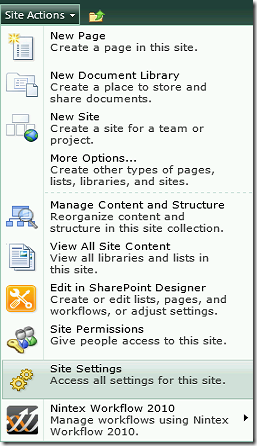 The SSRS report is deployed to SharePoint, and Reporting Services is in SharePoint Integrated mode. The subscription was showing last results as “Done: 15 processed of 15 total; 7 errors.” It took awhile to find the pieces I needed to figure out what was causing the error. 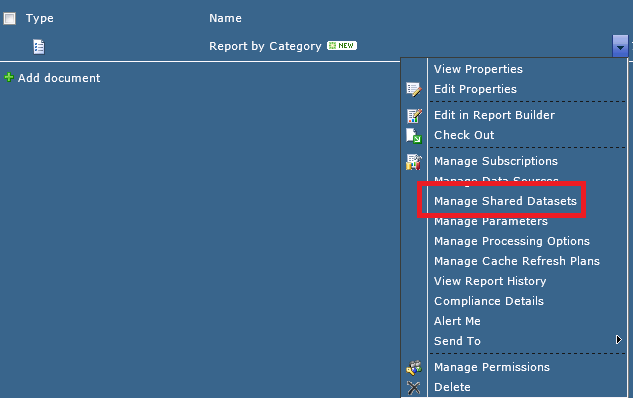 I found some information about looking at Report History in SharePoint and creating a New Snapshot, which would give me the last known error. However, since some of the reports had run successfully this did not work. This only returned the successes, not the failures. Finally, I tried looking in the Report Server Trace Log file. There was very little in the log file and nothing to do with my subscription. I knew that the Trace Log file should hold the information I needed. After much poking around I realized that I had made a fundamental error in my assumption about the architecture. 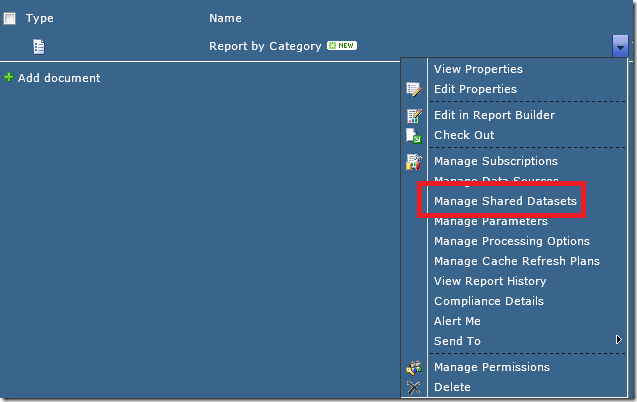 The Trace Log file resides on the SharePoint server, not the Report Services database server.